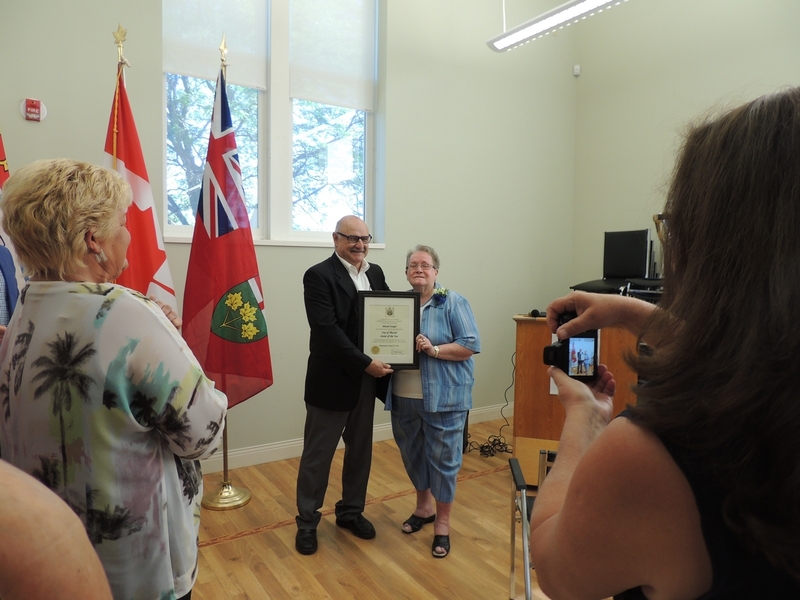 THOROLD — Muriel Joseph blushed noticeably over all the fuss at the Thorold Ontario Paper Seniors Centre on Carleton Street on Wednesday, with a steady parade of dignitaries queuing up to talk about how she’s enriching the lives of other people and nearly burying her under official certificates congratulating her on being named Thorold’s 2016 senior of the year. Just days earlier, Thorold Seniors Association president Laura Vary approached her to ask if she’d agree to the prestigious honour. “I said, ‘why, isn’t there anybody else?’ ” Joseph said. 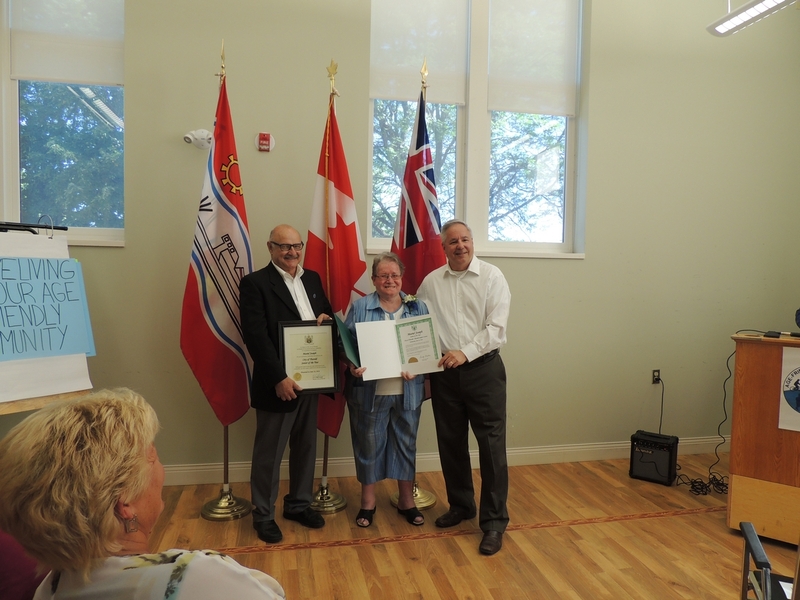 She relented, but appeared flummoxed by being the centre of attention as a large crowd gathered to see the ceremony that kicked off a day-long event focused on seniors that was organized by Thorold’s age-friendly committee. “I didn’t know it was going to be this big,” she admitted afterward. Muriel moved from the far north community of South Porcupine to St. Catharines about 60 years ago and moved to Thorold in 2004. 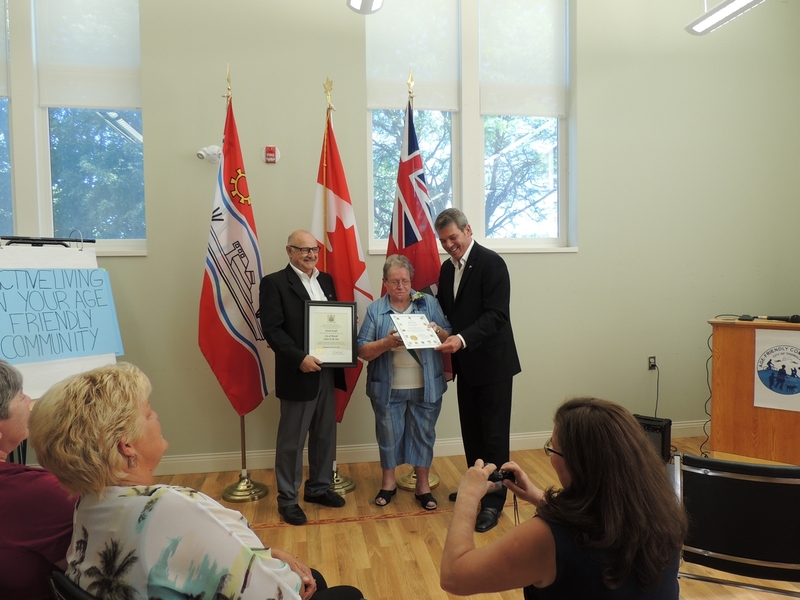 She quickly became a member at the former seniors centre on Ormond Street and then signed up as a volunteer at the Cobblestone Gardens retirement residence 10 years ago where she’s become a familiar face and a kind hand to the seniors there. Cobblestone administrator Jeannie Redekop said Muriel has shared her humour, energy and dedication, doing everything from helping out with bingos and bazaars to organizing social events and fundraisers. “Whenever Muriel comes in…she arrives with a smile,” she said. “She takes a caring interest in the residents. Niagara Centre MP Vance Badawey, who flew in just a few hours earlier on a red eye from Ottawa to attend the event, said the contributions of seniors can never be undervalued. 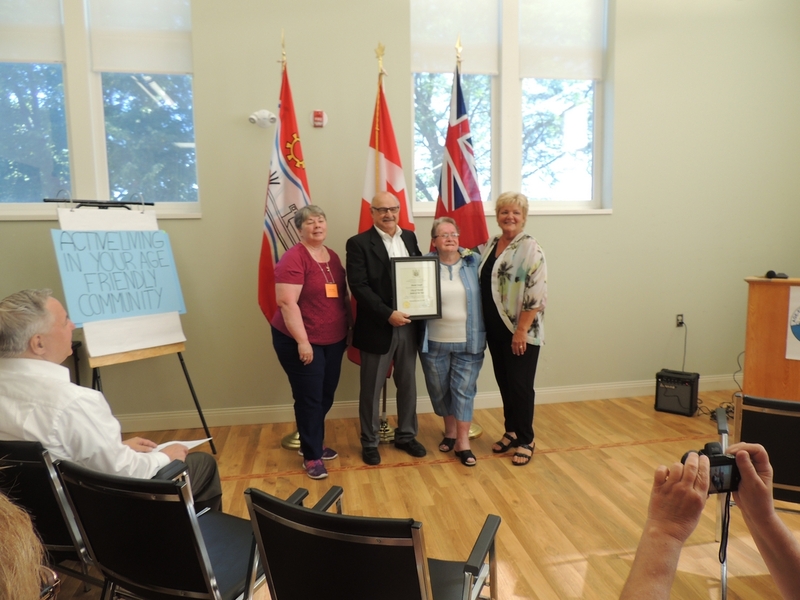 “Seniors have devoted so much of their lives to building a better future for so many others, their neighbours their friends, their families,” he said. Badawey told Muriel that her volunteer work is impacting people’s lives. “You are making a difference and it will be everlasting,” he said. Along with a roundtable discussion on how to increase the leadership and engagement of seniors and promoting seniors’ active lifestyles, the age-friendly event featured a presentation from Niagara Regional Police on scams targeting older people. Muriel told Niagara This Week that whether it’s taking Cobblestone seniors on outings such as lunches or a visit to the St. Johns Conservation Area, or simply sitting down to talk with a lonely resident, her motivation is simple. Volunteering also keeps her active and contributing, said Muriel. “I’m not sitting at home and looking at four walls,” she said. “I’m not dead: I have to get out and do something.